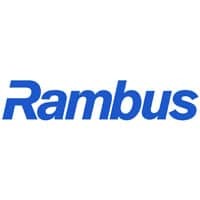 RAMBUS explains how online merchants can use card-on-file EMV tokenization, where primary account numbers stored in a card-on-file database are replaced with payment tokens, to reduce fraud and improve the online payments experience. Sponsored by Rambus. This delivers various security benefits to the digital commerce ecosystem as a whole, by reducing the risk and mitigating the impact of malware, phishing attacks and data breaches. It also delivers a number of direct benefits to merchants, by enabling them to strike an effective balance between high security and a frictionless buying experience. ‘What is Card-on-File EMV Tokenization?’ begins with an overview of the rise of card-not-present (CNP) fraud, the techniques currently used to reduce it and the ways in which these measures negatively impact on a merchant’s user experience. The paper then explains what card-on-file tokenization is, how it increases the security of online transactions and the additional advantages it offers to merchants in terms of both reducing the costs of fraud and improving the customer experience. 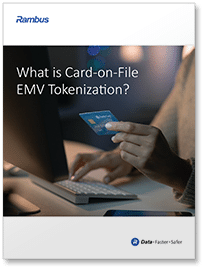 What is Card-on-File EMV Tokenization? has been produced and sponsored by Rambus and approved by the NFC World editorial team. This 14-page white paper is available free of charge to NFC World Knowledge Centre members (PDF format, 1MB). This item is part of the What's New in Payments Knowledge Centre.